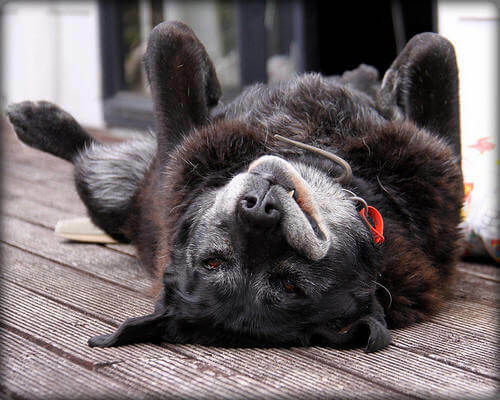 The diagnosis of cancer in Fido or Fluffy can be devastating and overwhelming. As with people, cancer is a common diagnosis in cats and dogs. There are a variety of treatment modalities available, depending on the specific type of disease present. 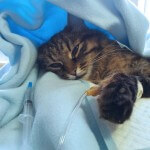 Some cancers in animals can be treated with surgery and/or radiation, some can be treated with chemotherapy and, unfortunately, some cannot effectively be treated at all, even with aggressive measures. 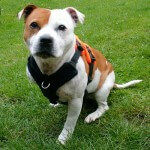 It is always difficult to tell a client that Fido has cancer. Truly, that is one of the worst parts of my job. 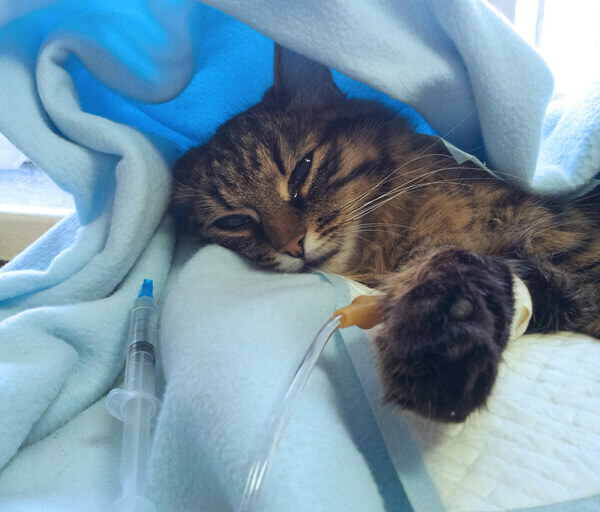 Veterinary oncology has made huge advances in treating cancer in pets, however, and there are a variety of options available to treat cats and dogs. When I first mention to clients that chemotherapy might be the best choice to treat a pet’s disease, I am often met with surprise, alarm, concern, questions and sometimes, relief. Many pet owners are not even aware that chemotherapy is an option in the first place, let alone that there is an entire veterinary subspecialty devoted to oncology. Clients are often initially opposed to chemotherapy for Fluffy or Fido, because the idea of putting a pet through a grueling regimen of medications that may cause significant side effects seems cruel. However, there is an absolute, essential difference between human and veterinary chemotherapy which dramatically alters the way we treat veterinary patients. 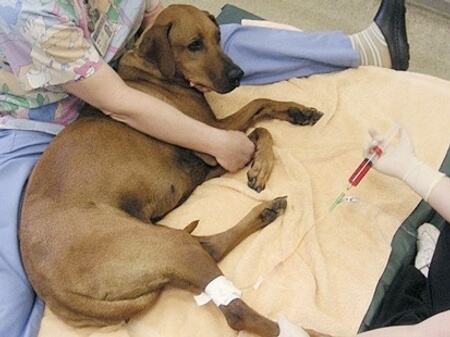 In veterinary oncology, the intent of chemotherapy is to palliate symptoms of the disease, and put it into remission for as long as possible. The intent is not to cure cancers with chemo, but to achieve long durations of remission. Thus, the doses used to treat animals with cancer are significantly reduced from those used in humans, so less side effects are seen. The advantage to this approach is that chemo is tolerated incredibly well by our patients. They do not lose their fur, they do not become lethargic and they do not typically suffer from severe nausea, vomiting, or weight loss. 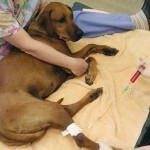 This is not to minimize the potential for adverse effects with veterinary chemotherapy. We utilize many of the same drugs used in human cancer treatment, most of which are quite potent. Some of our patients do have gastrointestinal upset, some may have severe bone marrow suppression and some can have life-threatening complications such as cardiotoxicity. Overall, when the right patients are given the right doses of the right drugs, they can do quite well for a long time. Our goal, as always, is to ensure our patients have an excellent quality of life during their treatment. “First, do no harm” is the credo of human and veterinary doctors alike. In Malvern, we are fortunate to have an excellent facility nearby that offer complete oncologic services: HOPE Veterinary Specialists, which offers surgical and medical oncology as well as radiation therapy and a veterinary cyberknife. We refer frequently to HOPE, and have close relationships with these excellent oncologists. 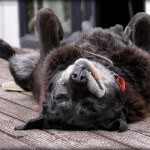 There are many considerations when contemplating the best course of action once Fluffy or Fido has been diagnosed with cancer. Chemotherapy is certainly not the best choice for every client or every pet diagnosed with cancer; it can be financially and emotionally challenging, and ultimately may not cure your pet’s illness. Please don’t hesitate to address any questions or concerns with your veterinarian; our goal is to help you make the best decisions for your family, and your pet!